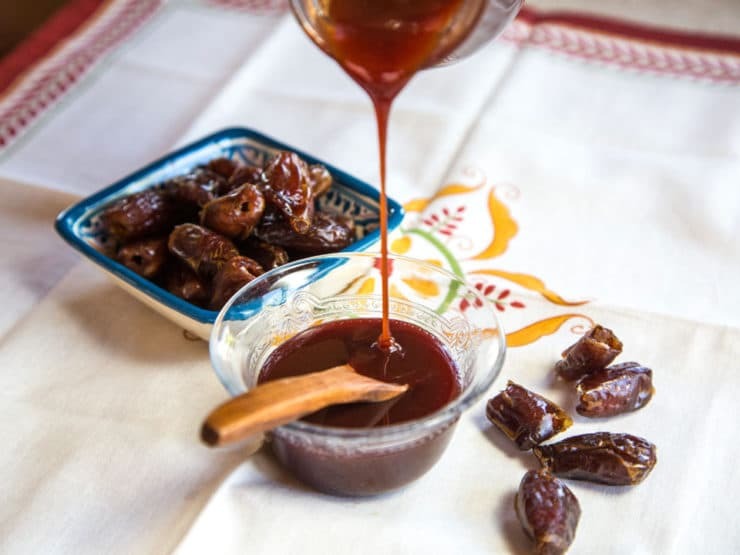 Recipe for Middle Eastern Date Honey, aka Silan – sweet condiment syrup made only of pure natural dates. 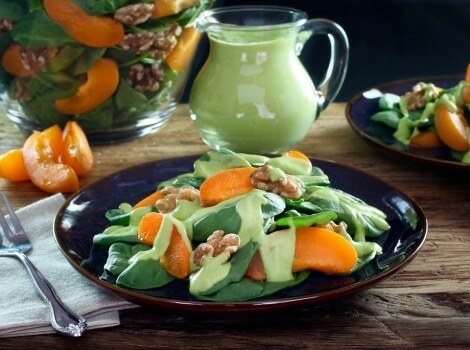 A summery fresh salad with apricot, toasted walnuts and avocado basil dressing. 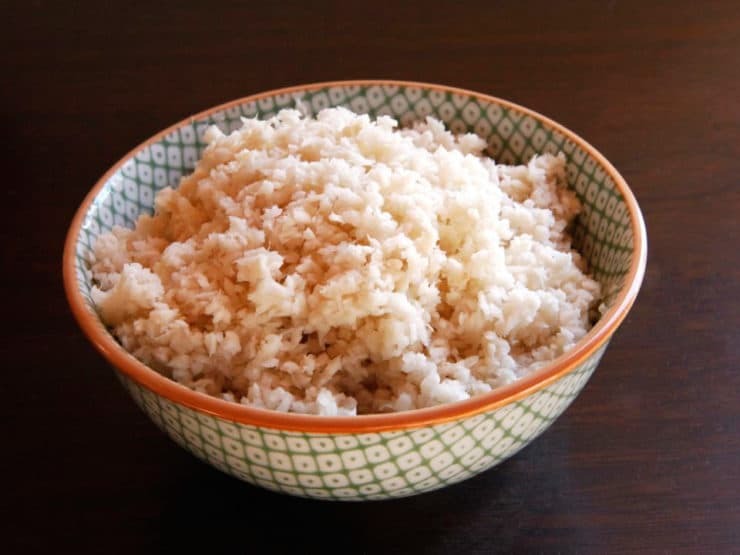 Healthy vegan recipe. 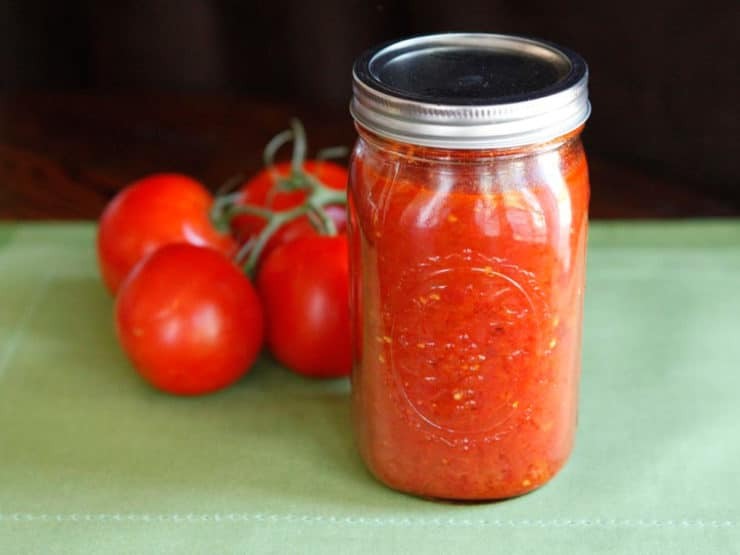 Step by step recipe for tomato sauce and instructions for processing using a pressure canner. 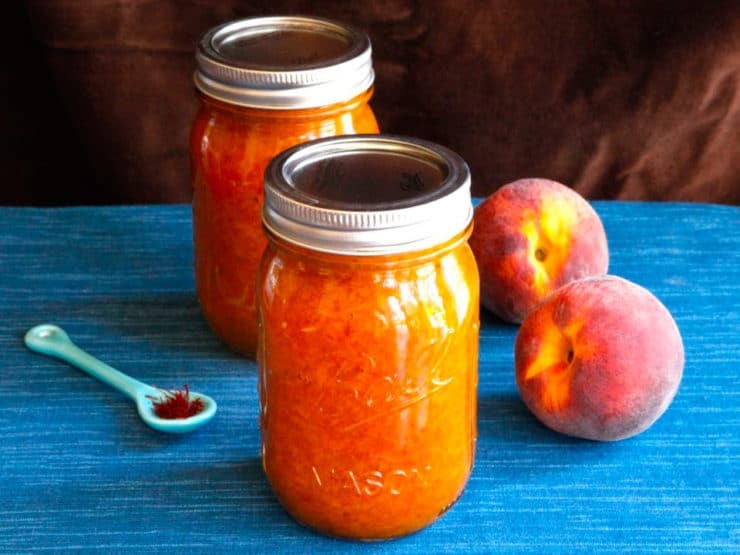 Simple sauce made of tomatoes, olive oil, sugar and salt. 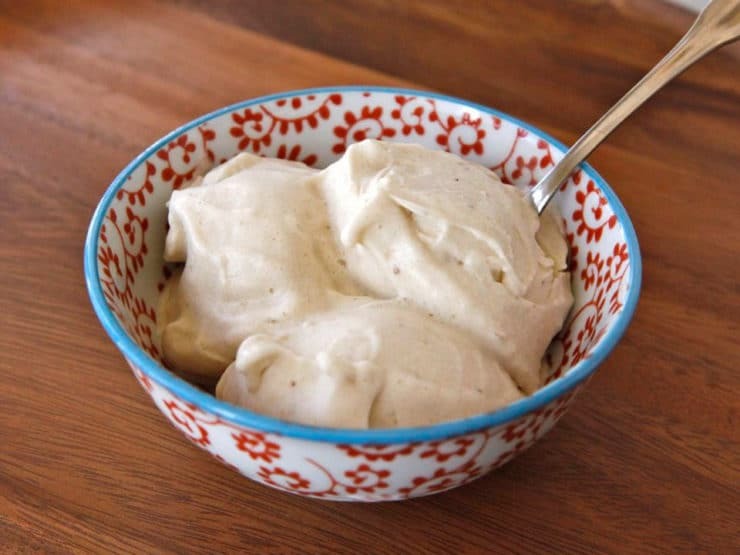 Recipe for one-ingredient food processor banana soft serve – creamy, all natural, sugar free, dairy free dessert. 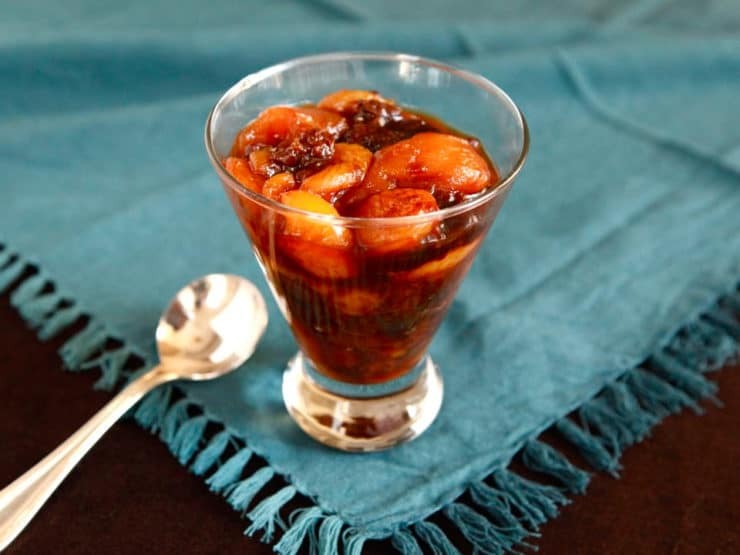 Step-by-step recipe for creating peach preserves with exotic saffron and a hint of cinnamon. 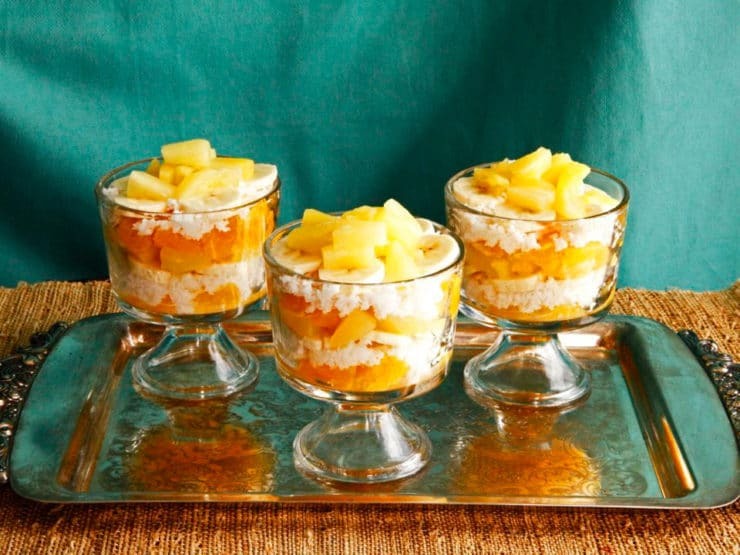 A simple vintage tropical fruit salad recipe with pineapple, bananas and coconut from Cooking Club Magazine, May 1907. 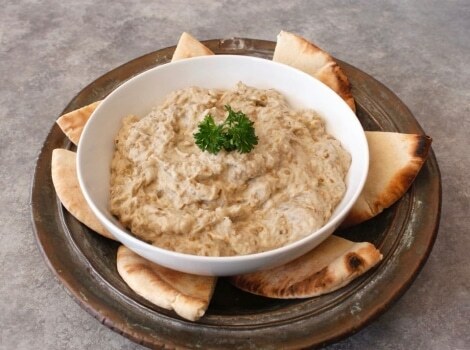 Recipe for luscious Middle Eastern roasted eggplant dip, rich with sesame tahini. 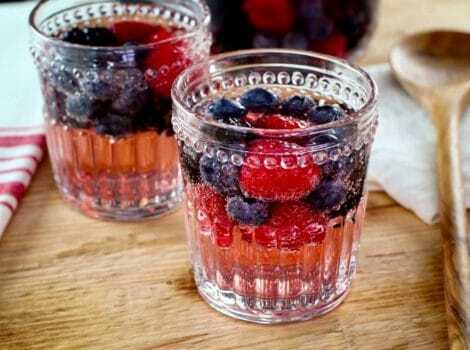 Healthy and tasty! 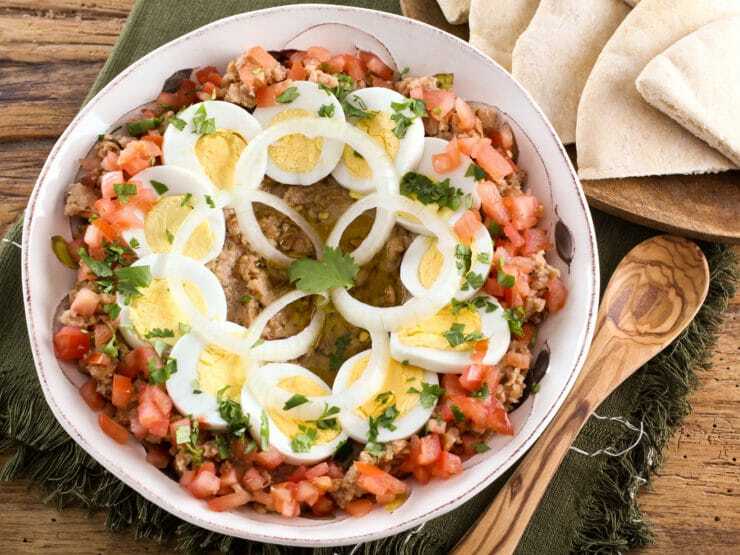 Learn a historical Middle Eastern recipe from ancient times – Ful Mudammas made with fava beans, olive oil, onion, garlic, and cumin. 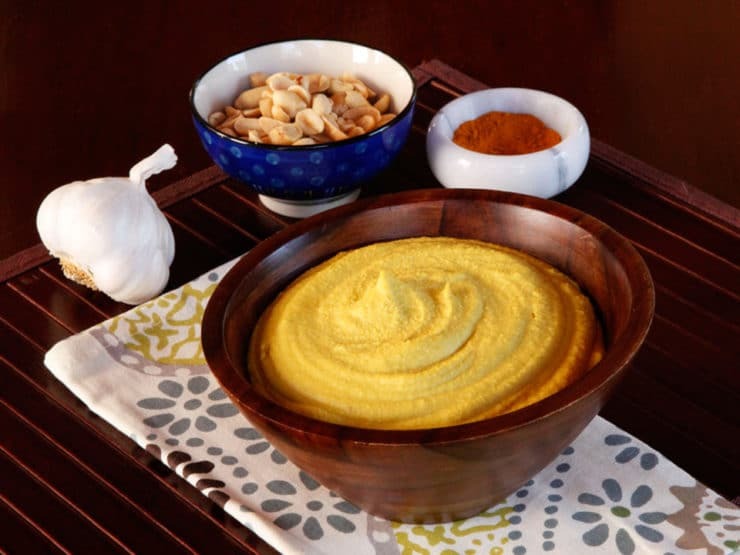 Ancient Israelite cooking. 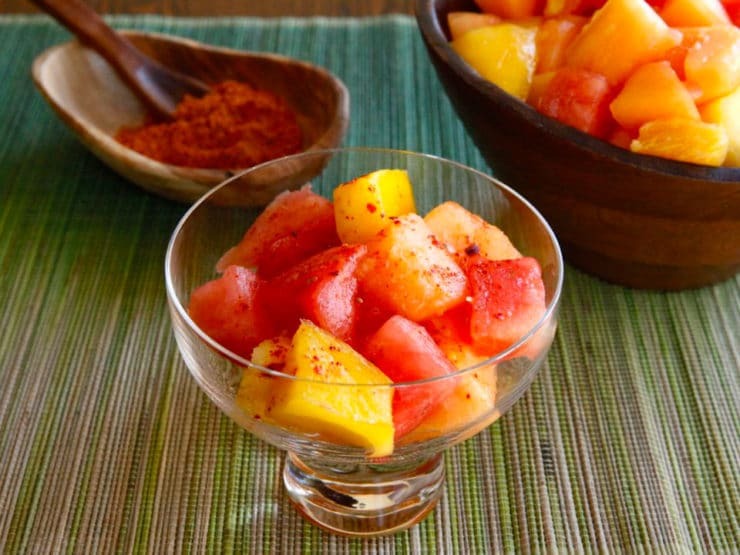 A spicy Mexican fruit salad recipe with salt, lemon and chile de árbol by Tori Avey. Cinco de Mayo or summer salad. 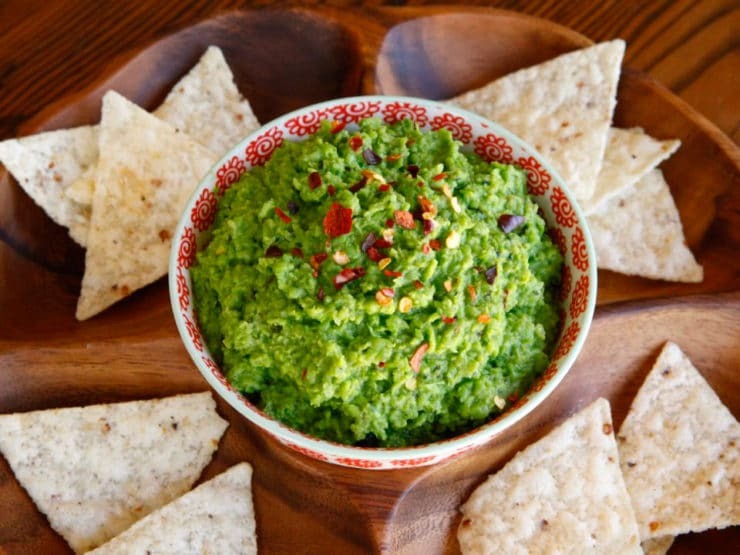 Light and Healthy Guacamole-Style Dip. 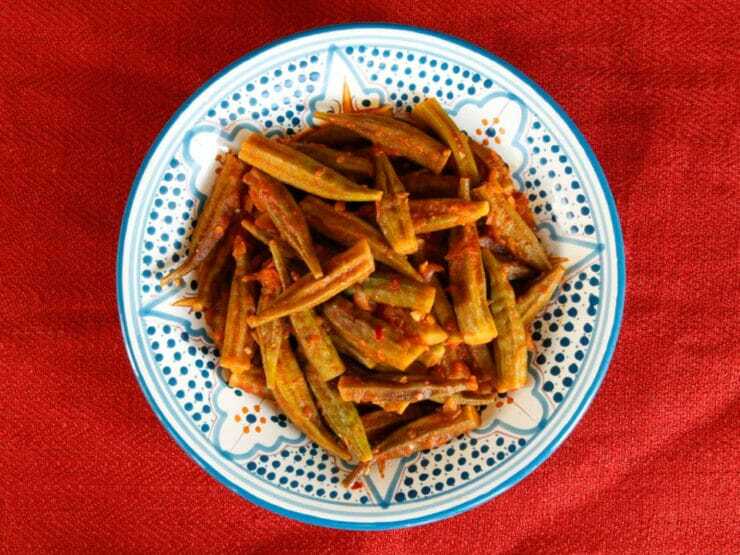 Lower fat alternative to avocado guacamole made with spring peas, jalapeño, lemon, herbs and spices. 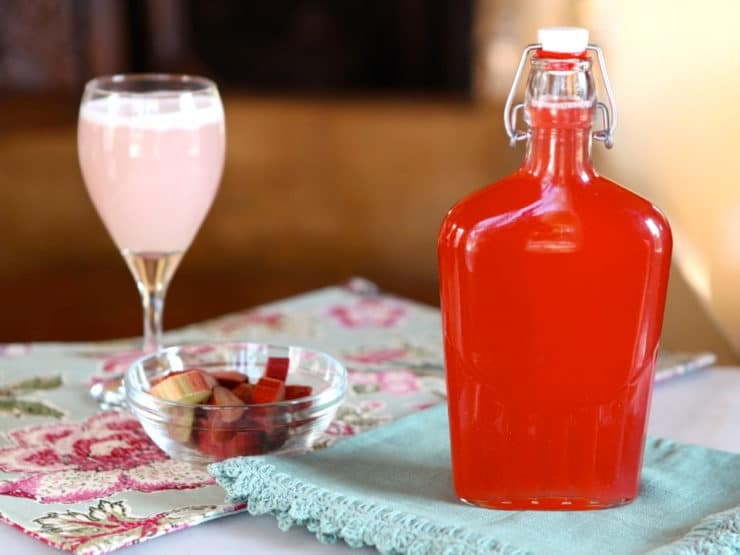 Make a simple syrup infused with springtime rhubarb for use in beverages and cocktails. Cook longer for a thicker syrup for pancakes and waffles. 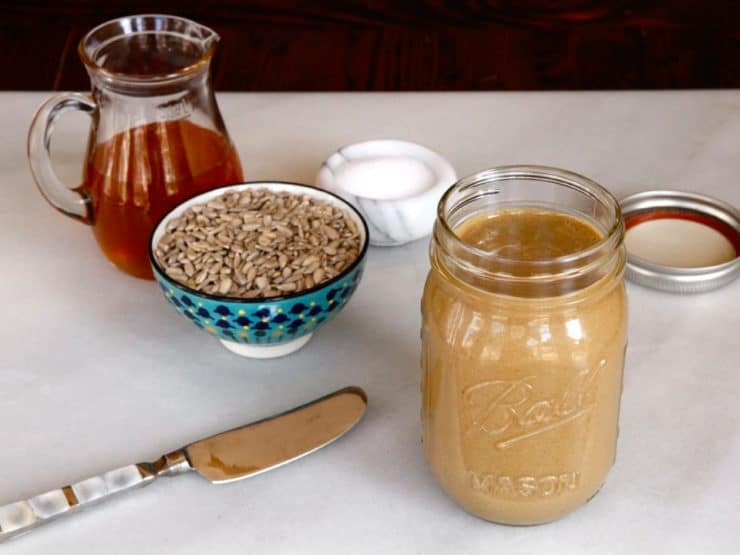 Learn to make smooth, delicious, all natural and allergy-friendly homemade sunflower butter in your food processor with sunflower seeds, honey and salt. 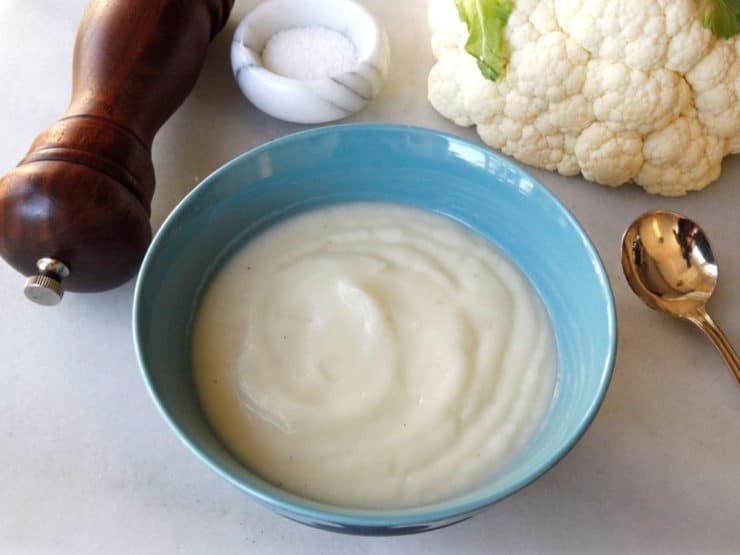 Easy recipe tutorial for Prepared Horseradish 3 Ways, including plain, with beets & cream style. 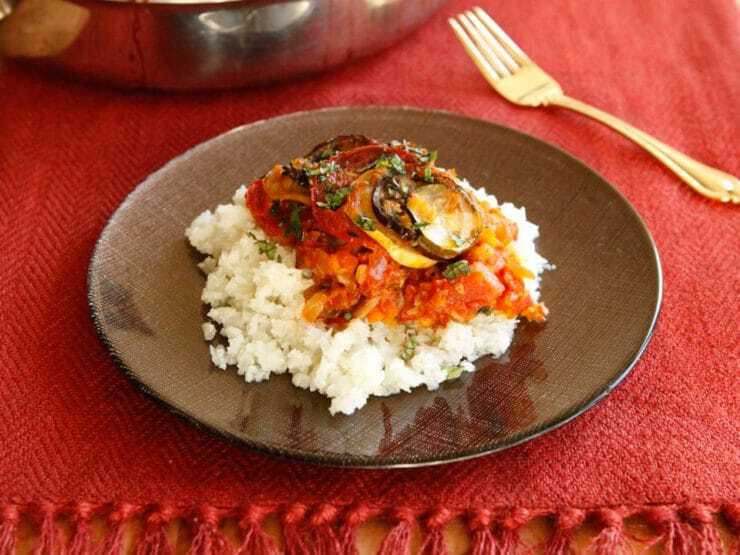 An elegant, flavorful recipe for ratatouille with Middle Eastern spices, smoked paprika and mushrooms. 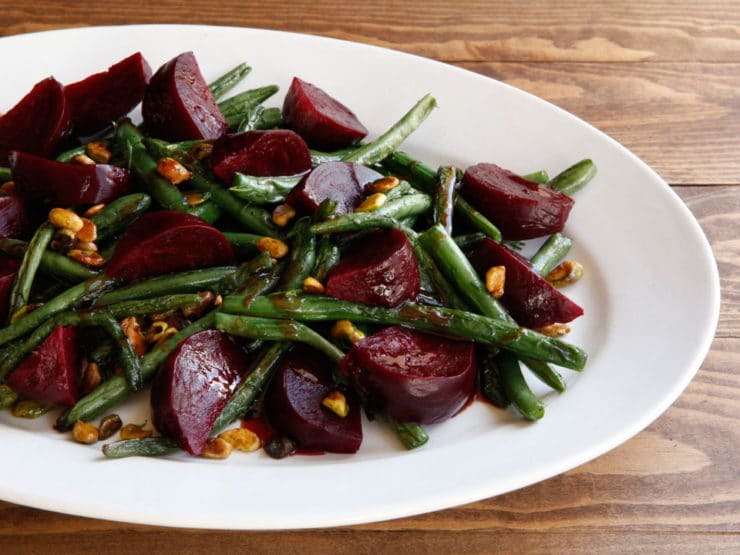 Hearty vegan entree. 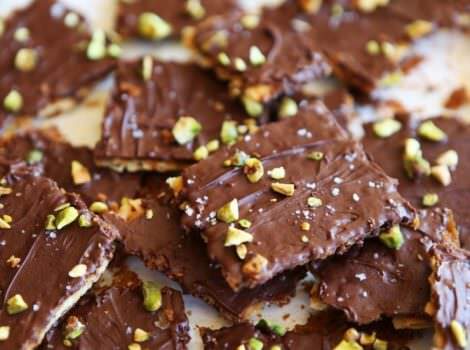 Kosher for Passover. 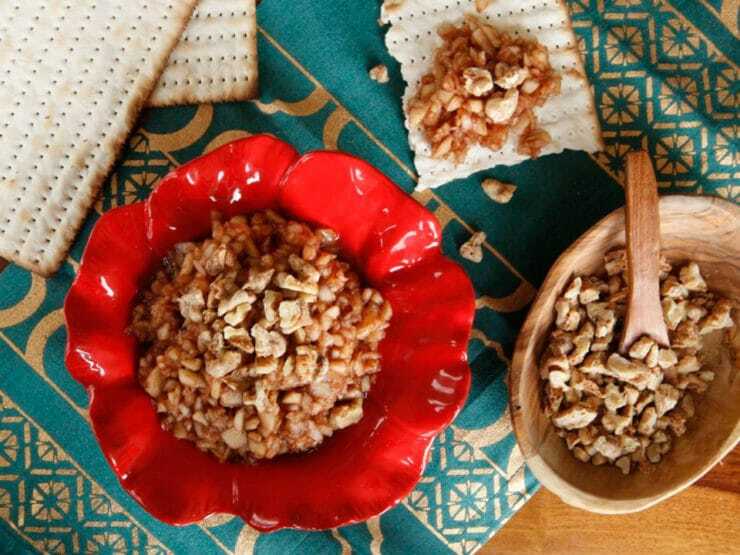 Traditional Passover apple charoset topped with spicy, crunchy walnuts for a unique spin on a classic recipe.